©Tony Mould: all images copyright protected. The Mayor of Brighton and Hove, Councillor Brian Fitch and the Mayoress, Mrs Norah Fitch joined the congregation at a service of commemoration and thanksgiving at St Martin’s Church, Lewes Road. 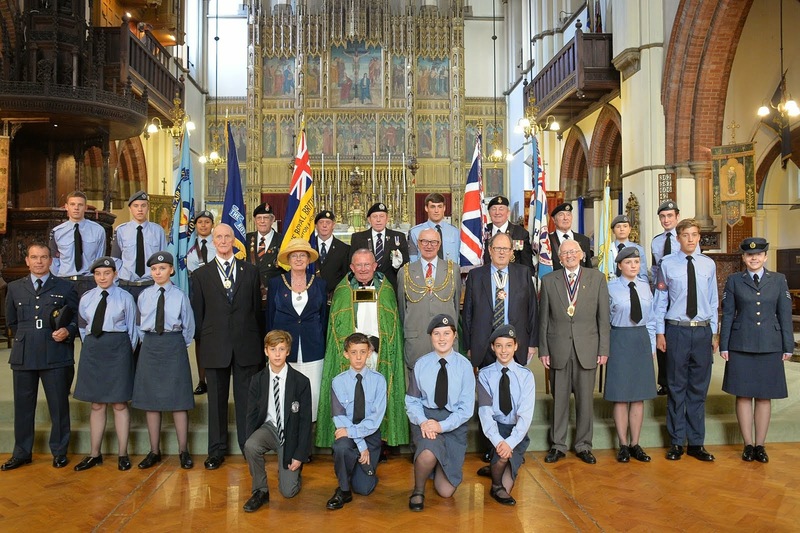 This annual service, organised by the Brighton and Hove branch of the Royal Air Force Association (RAFA), is held on the Sunday following Battle of Britain Day – September 15th. On Sunday, September 15, 1940, the Luftwaffe launched its largest and most concentrated attack against London in the hope of drawing out the RAF into a battle of annihilation. Around 1,500 aircraft took part in the air battles which lasted until dusk. The action, in which the RAF shot down a record 60 Luftwaffe planes at a cost of 26 British aircraft, was the climax of the Battle of Britain. After this roasting, Hitler decided to postpone preparations to invade Britain; this action gave the country the time vital to reinforce our defences. ‘Never in the field of human conflict has so much been owed by so many to so few’?